GameStart 2016 to set the gaming world on fire this October and happening in Singapore! Big names from Esports, Cosplay, and exhibitors from the kings of console gaming will make the 3-day convention the best gaming weekend of 2016! Just like some of the best trilogies, GameStart Asia is back for its third year. Acting on fan feedback from its inaugural convention which welcomed 12,000 gamers and GameStart 2015 which saw 17,000 gamers, GameStart 2016 brings back favourites and introduces new exciting content to provide a diverse and fun-filled three days of non-stop gaming action. Occupying 4,000sqm of space in Suntec Convention Centre from October 7 to 9, GameStart 2016 will bring gaming enthusiasts three days of game-related fun, including showcases and previews, international guests, cosplay, and visitor favourites like Retro DNA, harkening back the popular arcade and early-generation console games for free-play and purchase. This year, fans will see a stronger focus on eSports, or competitive gaming, with multiple tournaments happening that visitors can register for. There are also special offers on games, peripherals, hardware and merchandise from popular game franchises for those who would hate to head home empty-handed. In-line with GameStart’s goal of bringing together all aspects of gaming in a single venue, this year’s exhibitor list includes heavyweights like PlayStation, Bandai Namco Entertainment Asia and FunPlus, as well as a strong showing of local and indie game developers and companies, such as Witching Hour Studios, collectible statue-makers Kinetiquettes and Singapore gaming peripheral brand, Armaggeddon. Visitors to GameStart 2016 can get their hands on all kinds of games - from retro to indie, triple A and even card games, with a key highlight of the event being preview demos of yet-to-be-released games. The list of games will be announced nearer the show. Fans of Japanese game Touken Ranbu, will get to meet Yuta Hanazawa from DMM Games, with this being the first time the company has come to Singapore for any promotional activity. A special music performance by Malaysian guitarist, Az Samad, who has performed with Distant Worlds: Music from Final Fantasy, will see him play selected tracks from popular titles. Cosplay is a big part of any gaming convention, and GameStart 2016 is bringing in two renowned cosplayers, Miu (Vietnam) and Okageo (USA), who will judge the GameStart Cosplay Runway, meet fans and sell merchandise. Cosplayers also enjoy free entry to GameStart 2016.
eSports, or competitive gaming, is taking the world by storm, as the explosion of live streaming and video sharing platforms has resulted in gaming becoming a spectator sport that commands millions of viewers and billions in sponsorship and advertising spend globally. 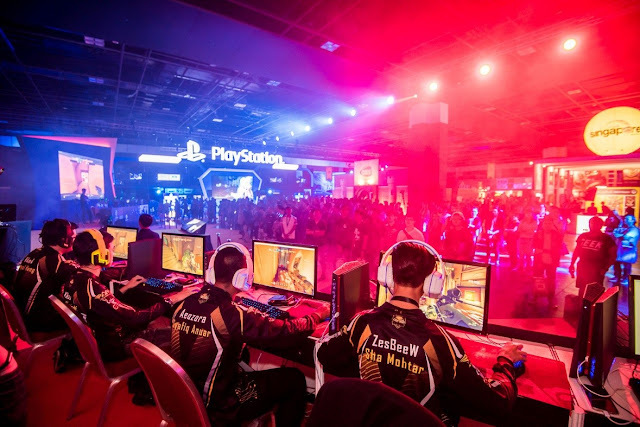 PlayStation returns as a major exhibitor this year with a new focus on supporting the growth of eSports in Singapore and the region. PlayStation will once again have the largest booth at the event, as the Presenting Sponsor for South East Asia Major 2016, the largest console tournament in Southeast Asia, which will be hosted at GameStart for the very first time. Visitors can expect an action-packed weekend of professional-tier eSports as top and celebrity Street Fighter players from around the world travel to Singapore to compete for a coveted spot in the official Capcom Cup 2016 Finals - the finale of a year-long worldwide league that offers a prize pool of USD 500,000. Other notable tournaments are for Guilty Gear Xrd -REVELATOR-, BlazBlue Central Fiction and the highly anticipated King of Fighters XIV, most of which are qualifiers to regional tournament finals in Japan and China. Notable personalities who will be present include Daigo “The Beast” Umehara, Gootecks and Mike Ross from Cross Counter TV, Mark “Markman” Julio and Singaporean Street Fighter prodigy, Ho Kun Xian, who is a professional gamer, sponsored by Razer. MyRepublic is the Official Fibre Broadband Partner for GameStart 2016, and also the Presenting Sponsor for the Overwatch Champions Singapore tournament, which will see some of the best teams in Singapore battle it out at their booth for over $5,000 worth of cash, and prizes from co-sponsor Armaggeddon. GameStart’s annual FIFA tournament, the Gamestart Championship Cup, is also making a comeback with support from Xbox Singapore, and over $4,000 in cash and prizes sponsored by GameStart, Xbox and Monitor Sponsor, ViewSonic. 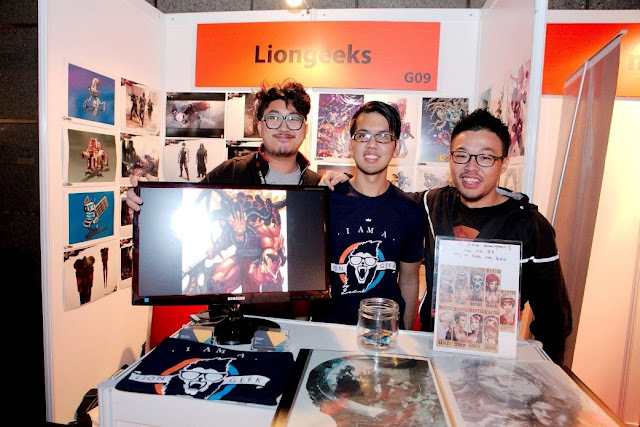 GameStart is rooted in supporting and putting a spotlight on indie and upcoming talent from Singapore and the region, and Founders Base is where indie game developers and startups are offered subsidised booths to exhibit and showcase their work to visitors. GameStart has just renewed their partnership with Taipei Game Show, in which both parties foster cross promotion of Singapore and Taiwanese games by hosting a number of companies from each country at their respective shows. A number of indie studios from Taiwan will exhibit at Founders Base under the Taipei Game Show umbrella. The inaugural GameStart Indie Awards will see GameStart 2016 visitors vote for their favourite indie game at the convention, and the top-voted indie will win a trip to exhibit at Taipei Game Show 2017. Doujin Market is the largest amateur artist event in Singapore that focuses on Japanese content, and as a new collaboration for 2016, Doujin Market @ GameStart will bring 24 amateur artists to GameStart 2016, curated by Cosplay Partner and Doujin Market organiser, Neo Tokyo Project (Doujin - Japanese term for self-published works and artwork by amateur artists). “GameStart Asia’s collaboration with Doujin Market provides great opportunities for upcoming artists to showcase their works, as we want to help shine a spotlight on the immense pool of talent that exists in Singapore and the region,” Elicia Lee, Director of Eliphant Pte. Ltd, said. In GameStart tradition, the first 300 visitors per day will receive a ‘Random Loot’ goodie bag, which could contain t-shirts or prints from Xmashed Gear, gaming peripherals, high-end storage devices from Seagate or special merchandise from other sponsors. The Quest, Powered by Armaggeddon, will send visitors on a quest to complete specific tasks around the venue for swag, as well as more chances to win prizes in the GameStart Lucky Draw, which includes an ergonomic gaming chair by Secret Lab and gaming notebook from Official Notebook Sponsor MSI. For those looking to offload old laptops, game consoles, games (except PC platform) and mobile devices, bring them down to the Gadget Solution booth to trade them in for GameStart vouchers, which can be spent anywhere in the venue, including purchasing and pre-ordering new consoles, games, merchandise and more at the many sales booths, such as local retailer TOG (Toy or Game), Secret Lab, Armaggeddon, Liongeeks and Xmashed Gear. “We’re excited to bring Southeast Asia’s Premier Gaming Convention back for its third year. Gamers from Singapore and all around the region can expect a bigger variety of content, activities and all-things-gaming over the three days,” Elicia added.